Finally we present the last Site of the Month of the Year, this fine specimen will join eleven other SOTM winners to battle it out for Site of the Year 2017, which will be presented at the glittering Prize Giving Ceremony at our Berlin Conference coming up this February. 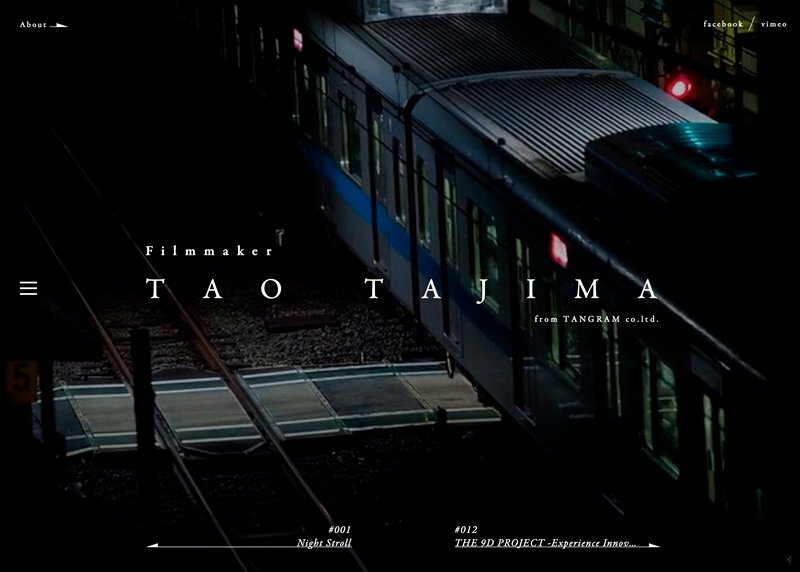 December's winning site is TAO TAJIMA | Filmmaker by homunculus Inc. The portfolio of the director and film maker with the Tokyo visual design studio Tangram, characterized by a worldview that completely transforms casual everyday landscapes, expressed through the skillful use of light.